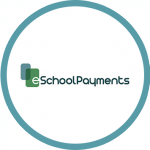 We are pleased to announce that Muscle Shoals City Schools of Alabama, has moved forward with the deployment of eSchoolPayments. This will allow the district to provide parents with an easy, convenient, and secure way to pay for their child’s school-related fees in advance. We are confident this intuitive solution will help Muscle Shoals City Schools better serve parents while reducing the challenge of collecting school fees at the school level.